We do Kalamazoo grill repair! Fast, convenient and professional service! Our company does professional, fast and affordable Kalamazoo grill repair. If you live in southern Texas and your Kalamazoo is broken or needs cleaning, we can help. We have been doing BBQ repair for more than 30 years. Our company especially specializes in high-end BBQ grill brands such s Kalamazoo. Our technicians are all factory trained and certified. They know everything there is to know not only about barbecue repair but also about barbecue cleaning and restoration. Our high-performance standards cover product maintenance, diagnostics, repair and customer relations. After an appointment with us, your Kalamazoo grill will be as good as new. We always treat our customers right and excellent customer service is very important to us. From the moment you call us to the moment, we hand over to you newly repaired grill we always treat you with respect. Our repair personal will be polite, punctual and friendly. They will go out of their way to help you. Our scheduling is very flexible, and we are willing to work around your schedule. Also, we have FREE, accurate estimate before every job and FREE service calls with any repair. Please check out our home page for the great deals for our loyal customers. What can you expect from a Kalamazoo grill repair process? First of all, you give us a call at 469-440-2605. We will schedule you a convenient appointment and put a BBQ repair specialist in your case. We will get all the necessary Kalamazoo parts before going to your appointment. That way once we are there we can get straight to work. Our parts have a 3 year warranty on them. Once the parts come in, our technician will be on his way to you. As soon as he is there, he will take apart your BBQ grill, clean it out and determine what is going on. He will replace all the necessary parts and will make sure your grill is working smoothly. Why hire us to do your Kalamazoo grill repair? We are the best company to do Kalamazoo grill repair for you. Our techniques are factory trained and certified. They know everything there is to know about Kalamazoo grills in particular. In out 30 plus years of experience, we have dealt with all models of Kalamazoos. No matter how large or small your project is we will be able to handle it for you. We will make your appliance repair appointment fast, easy and convenient. And you will be more than happy with the results we give you. Your BBQ grill will be as good as new! For Kalamazoo grill repair, please call us at 469-440-2605! Or fill out of short online form! Besides Kalamazoo grill repair we also do all the other brands such as Alfresco, Capital, DCS, Fire Magic, Lynx, TEC, Thermador, Twin Eagles, Viking, Weber, and Wolf. We do gas barbecue repair, smoker barbecue repair, electric barbecue repair, portable barbecue repair, charcoal barbecue repair, freestanding barbecue repair, built in barbecue repair. We also repair, install and clean outdoor kitchens, cooktops, pizza ovens, sinks, outdoor refrigerators, wine coolers, dishwashers, beer taps, smokers, hibachi grills, warming drawers, patio heaters and much more. We will be happy to hear from you about any of your outdoor appliance needs! Our company does professional, fast and affordable Kalamazoo grill repair. If you live in southern Florida and your Kalamazoo is broken or needs cleaning, we can help. 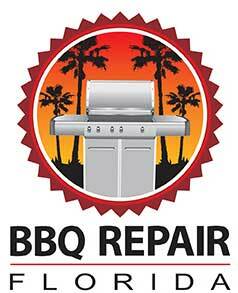 We have been doing BBQ repair for more than 30 years.